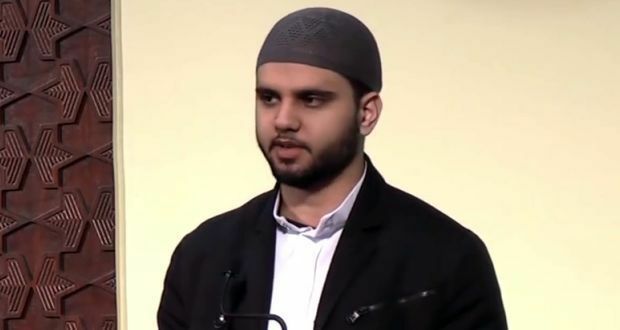 Imran Salha, an imam at ICA Islamic Cultural Association of Michigan, was a speaker at a “Vigil for Christchurch Mosque” hosted on March 19, 2019 the by Muslim Law Association of Windsor at Windsor University in Ontario. Apparently Zionists think it’s acceptable to show “solidarity” with Muslims because of the #NewZealandShootings while they support genocide that has been happening for seventy years. One Zionist comments in reference to the Pittsburgh Massacre, “we show solidarity with #Christchurch victims because we know how it feels to be attacked in our houses of worship!” Have you really internalized the depth of this lesson when you support the desecration of Masjid Al-Aqsa with all the restrictions against both Muslims and Christians? With the harassment of worshippers? With the bloodshed and murder the occupation commits at this holy site? Please graciously miss me with your BS. This will be my topic at this upcoming event at WSU Students for Justice in Palestine – the methods utilized by the Zionist regime to restrict access to al-Aqsa al-mubarak. My response to all those who think it’s out of place to call out the Zionist Occupation when Zionists are coming to our vigils for New Zealand to show “solidarity.” Your solidarity is fake and we can do without it. Spare us your crocodile tears. I surely want to get this video out there and I’m tagging SJP [Student for Justice in Palestine] at Windsor University as well as the Windsor University MSA [Muslim Students Association]. I want to get a message out there to those who are shy to call out the Zionists occupation and at a time where they supposedly are showing a solitary for what happened in New Zealand [Christchurch mosque shootings]. Listen, okay, if you’re going to come and show me solidarity for 50 Muslims that were killed in New Zealand and then you support a regime, okay, that is occupying land, killing people on the daily and killing innocent civilians much more than just 50 people, then your solidarity is hypocritical, it’s contradictory and it’s just plain old fake, okay. I saw somebody commenting on the video of my speech at the vigil saying that, you know, we were there to show support because of, you know, because we know what it means to be attacked in our own house of worship. Well, you know what? Just, you know, last week you guys, the Zionist regime that you support, closed, you know, the doors on Al-Aqsa Mosque [المسجد الاقصى] and they did not allow them to pray the sunset [المغرب] prayer or the evening [العشاء] prayer, okay, you know. You’re going to tell me you know what it means? What about Al-Aqsa Mosque [المسجد الاقصى] doesn’t allow for Muslims and all of their restrictions on the Muslims who try to pray in one of their sacred places of worship. So please don’t play that game on me and for the Muslims who were called me out and saying that I shouldn’t have said what I said, listen, don’t play yourself, okay, you know, be stronger than that. Have some backbone. 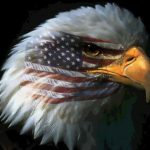 Stand up for your rights. You don’t need to accept fake solidarity for the sake of politics. we’re not playing politics here. This is about people’s lives, people who died. May Allah, Most Glorified, the Most High [سبحانه و تعالى], accept all those who died at His mercy and allow us to stand up in ways that make sure that their deaths were not in vain.